← Yo, That’s Screwed Up. I’ve collected some more labels from client homes to share with you. 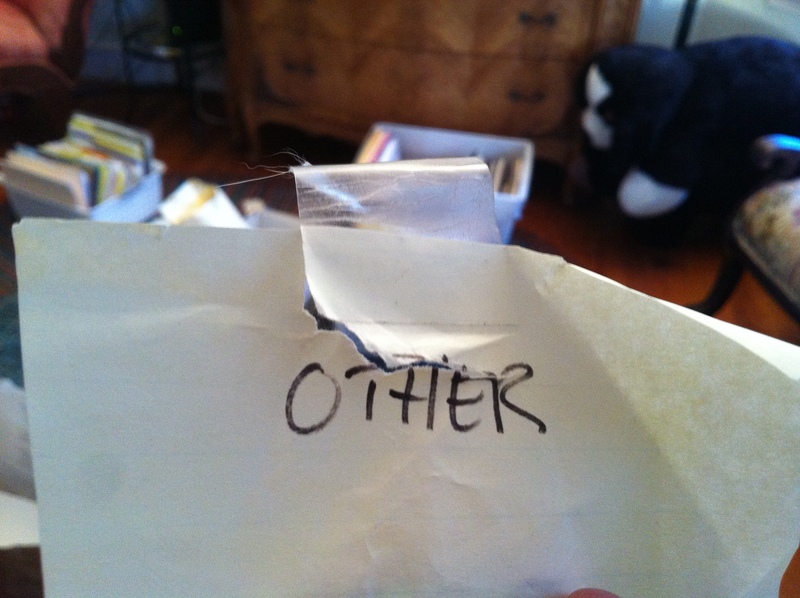 Because it’s hard to label things you throw away. 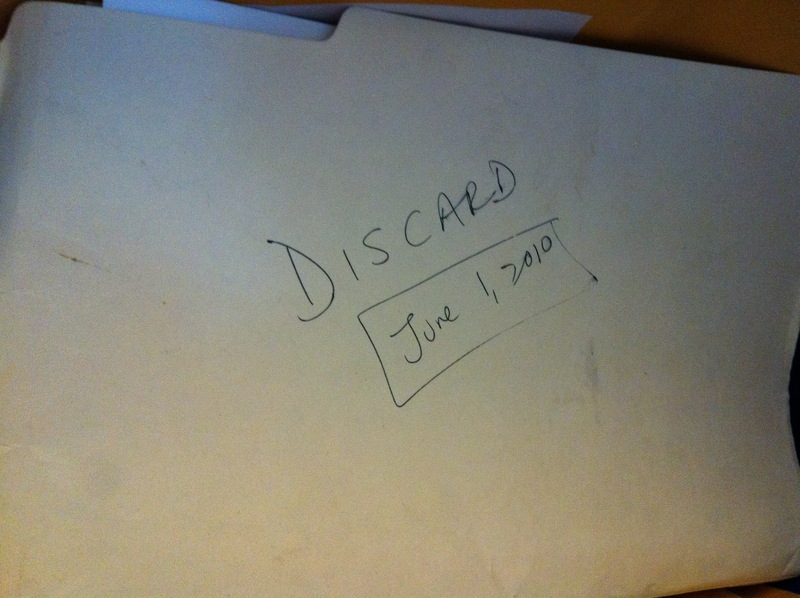 Oh, actually, I guess you do label things you throw away… before you keep them for another year and a half. So hellish, in fact, that the box couldn’t contain it. 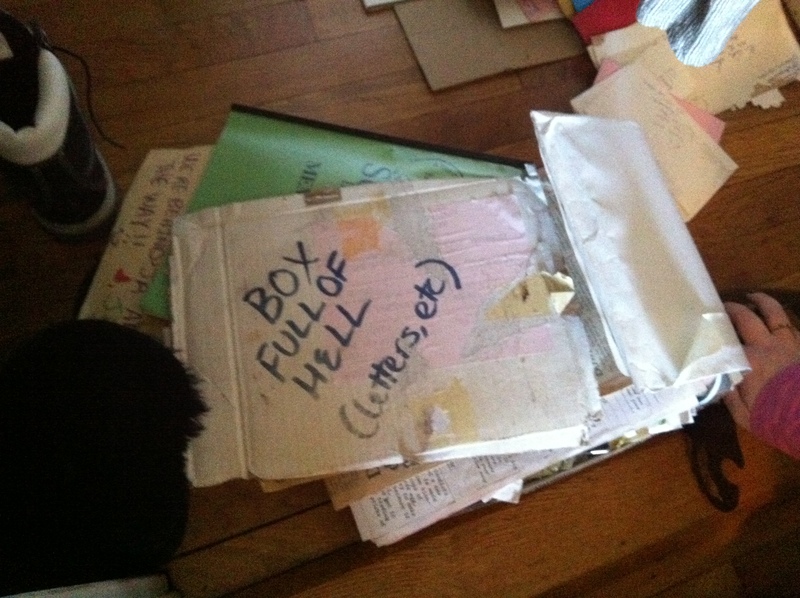 The box full of hell was mostly a collection of letters documenting old relationships in all their colorful angst. 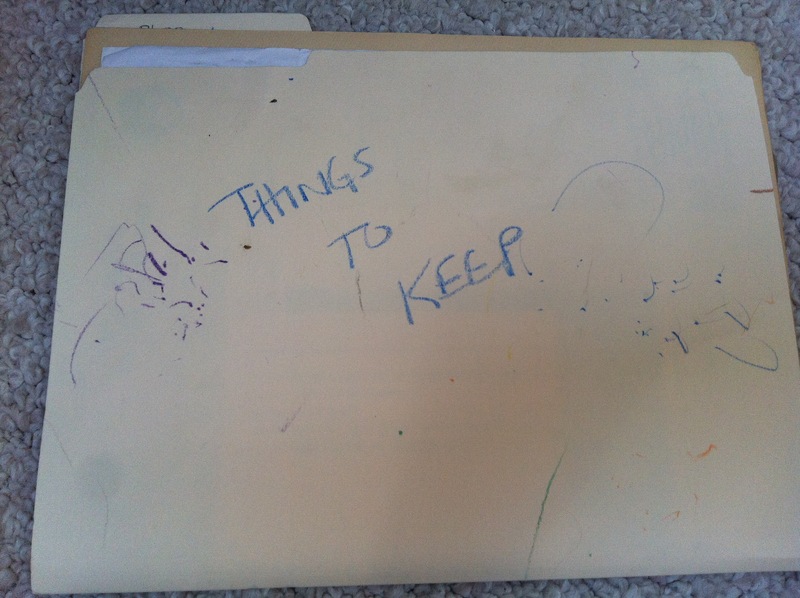 My client was, understandably, not keen on sorting through it all. So we transferred it into an intact box, relabeled it the same way, and stuffed it into a closet. Organizing does not have to mean torture! It can sit there as long as it needs to. What you imagined to be in the box, I bet, says something interesting about your psyche. A client used this label for the box with her Nuva Ring and Diva Cup to keep her parents out when they helped her move. Problem is, it will encourage everyone else (maybe her parents, too) to open it. Come on, you know you want to. You know, not that thing, but the other. For the more culturally mainstream among us, cruft is a geek term that, according to Wikipedia, originally meant “discarded technical clutter,” but has morphed over time to mean random (probably useless) stuff or generic clutter. 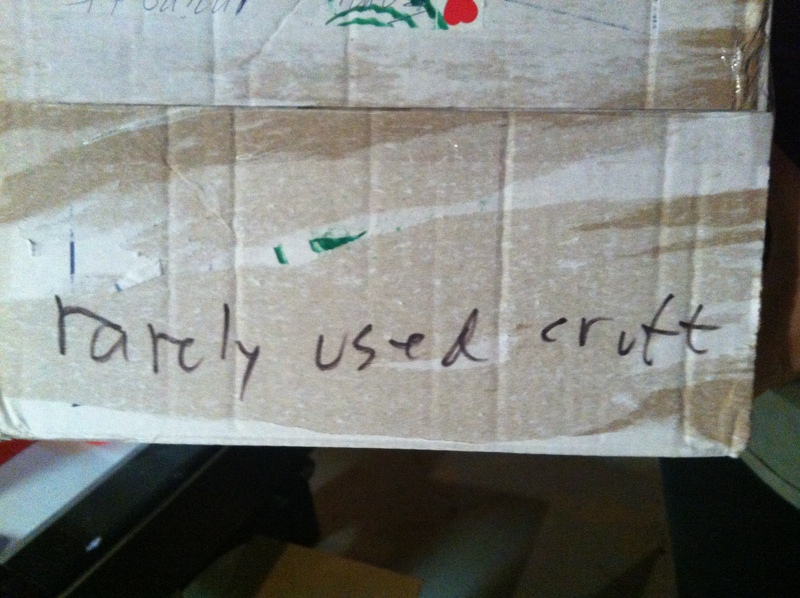 I think of cruft as being a larger version of the Yiddish schmutz. So, there you go. As always, I welcome comments and accolades. Please share your amusing and/or useless labels! This entry was posted in Organizing Attempts, Papers, Uncategorized, What Is It? 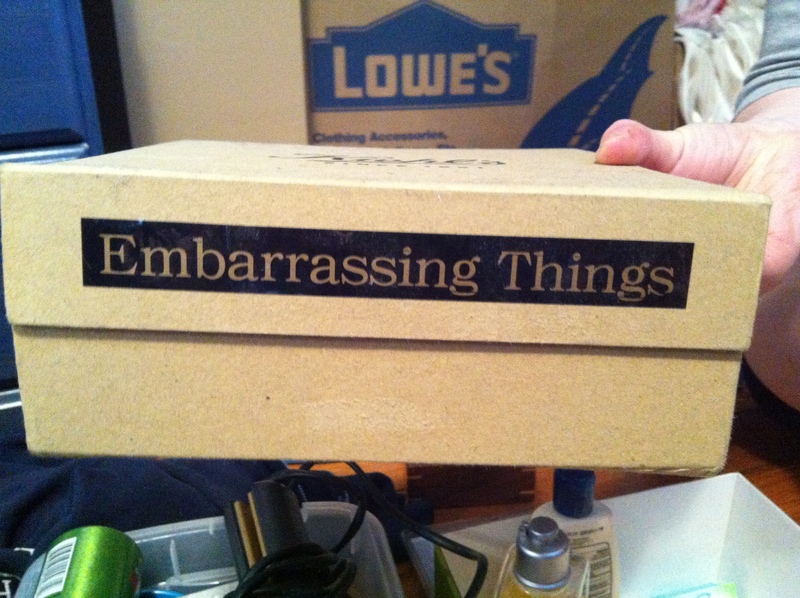 and tagged box, cruft, embarrassing, folder, labels, letters. Bookmark the permalink. 1 Response to Yet More Labels! ‘Schmutz’ usually refers to crud, not ‘stuff’. Schmutz appears on one’s kitchen floor after the muddy dog traipses in. It’s often in the corners of one’s eyes upon awakening. It’s all over one’s rug when a hanging plant comes loose from the ceiling & splatters all over the place! ‘Chazeraei’ (not sure of the spelling, but pronounced haz-er-eye) would probably be the most accurate Yiddish term to apply.